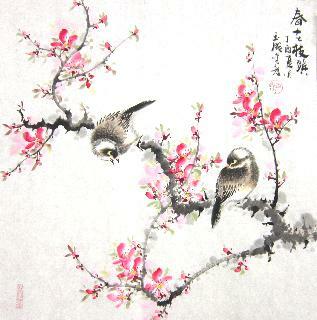 Peach blossom is beautiful. 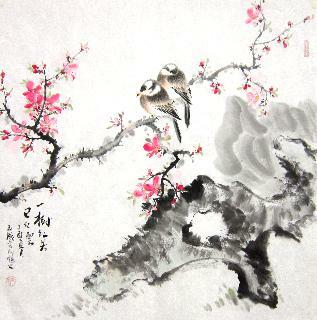 Their figures considerably less in Chinese art than its fruit, peach, which represents longevity. 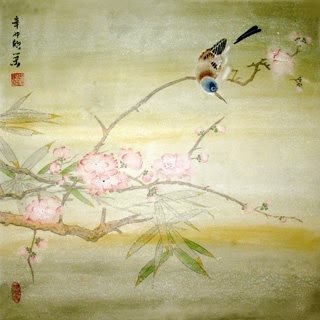 A single peach blossom by itself, however, has the unfortunate connotation of symbolizing an early demise. 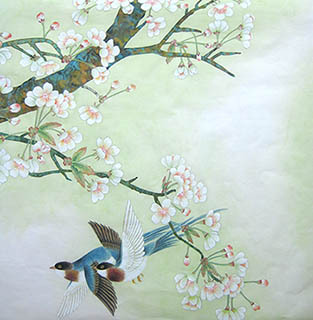 Chinese Peach Blossom Painting: symbolize good luck and happiness. 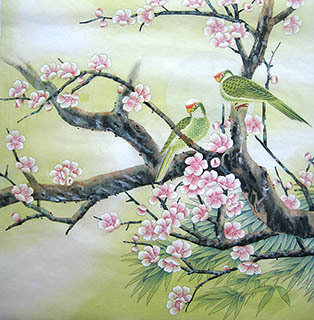 Chinese Plum Blossom & Peach Blossoms Fengshui Painting: painted together symbolize friendship. 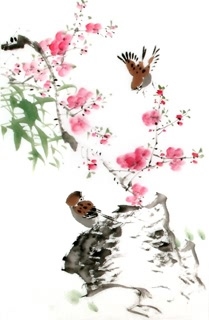 Chinese Mandarin Duck & Peach Blossoms Painting: The design of peach blossoms combine with mandarin duck means "lovers will live together to a ripe old age." 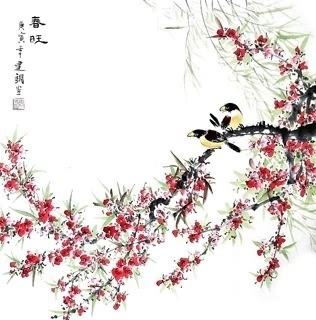 Chinese Sweet Osmanthus & Peach Blossom Feng Shui Painting: 贵寿无极. 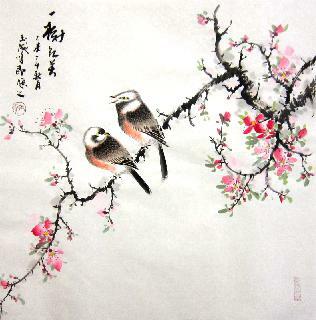 Peach blossoms with sweet osmanthus in one pattern for the hope that enjoy the endless wealth and life. 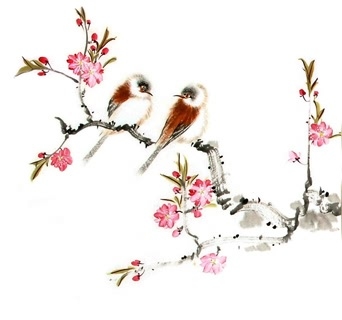 InkDance Price: USD 326 /GBP 268 /EUR 310 Sold, you can customize it. 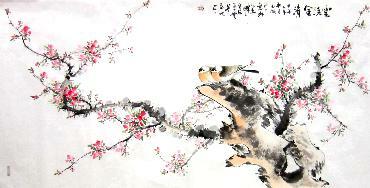 InkDance Price: USD 372 /GBP 306 /EUR 354 Sold, you can customize it. 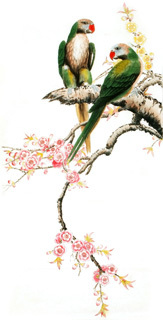 InkDance Price: USD 422 /GBP 347 /EUR 401 Sold, you can customize it.